Show Me Shorts has been New Zealand’s leading international short film festival since its first edition in November 2006. Launching with a glamorous awards night on October 1st at the Civic Theatre in Auckland, Show Me Shorts celebrates the best and brightest filmmaking talents. Each year, from over 1,500 entries from around the world, the 40 best short films and six best music videos are selected. The resulting programme of short films will be shown in more than 25 cinemas nationwide. Show Me Shorts is the first film festival in New Zealand that was granted an Oscars®-qualifying status in 2012 by the Academy of Motion Picture Arts and Sciences. This has meant that this short film festival enables more exposure and credibility for talented writers, directors, producers, cast and crew. This year, out of 23 international films, three short films from Germany made it into the programme! Die Badewanne (The Bathtub) is a wonderful comedy directed by Tim Ellrich. Three brothers try to dive back into their idealized past through an old family picture of them in a bathtub. 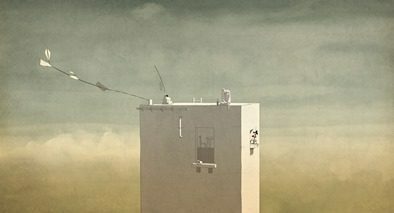 In The Distance is an animation directed by Florian Grolig – It is calm and peaceful above the clouds in this serene animation observing a man living isolated at the top of a tall building. But in the distance is war, and night by night the chaos approaches. Mo Can Tie A Bow is a short documentary directed by André Hörmann. Mo is an eleven year-old boy with big dreams. 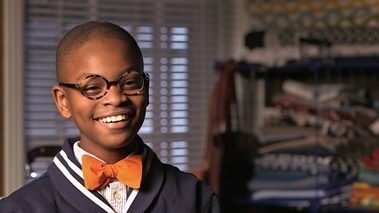 He has set up a successful small business making and selling bow-ties. He learned this craft from his grandmother Arlene.